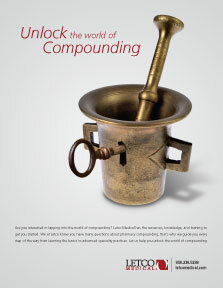 Let us show you how to improve patient care, increase your professional satisfaction, and diversify your business by adding compounding services to your practice. Increase patient compliance and quality-of-life by offering this unique solution to a common problem. 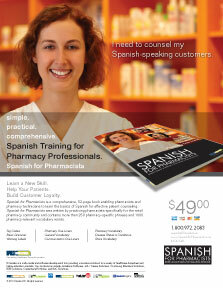 Developing Spanish counseling skills will help increase patient compliance and build customer loyalty while setting your pharmacy's level of customer service apart from competitors. 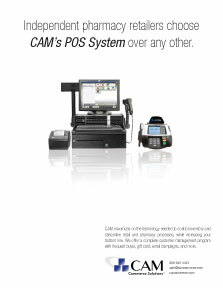 With one system, retailers can now automate every facet of their retail eCommerce / POS operation. 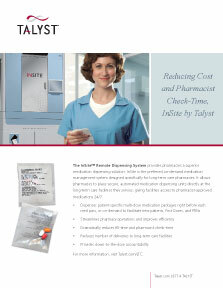 InSite by Talyst offers long-term care (LTC) pharmacies a complete automated dispensing solution to meet the 14-day or less medication dispensing compliance. 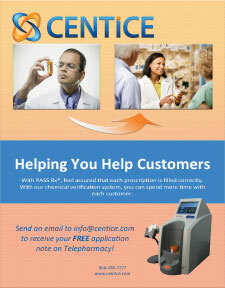 InSite offers both remote and central fill dispensing that increases pharmacy efficiency and cost-savings. 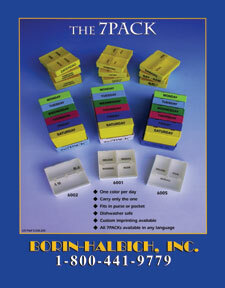 Increase patient compliance and experience 40% - 70% margins by retailing innovative medication organizers by Borin-Halbich. 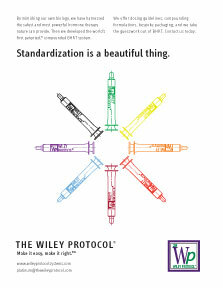 The Wiley Protocol is the world's first patented, biomimetic, and standardized system of BHRT for men and women. 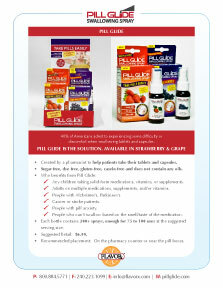 We offer complete packaging, dosing, educational options, and proprietary formulations for our partner pharmacies. 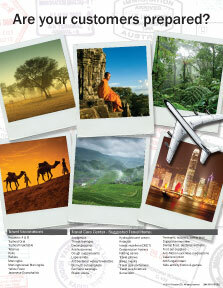 Developing a travel care center in your pharmacy will increase front store purchases, immunizations, and new customer traffic. 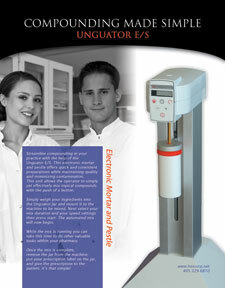 The PASS Rx® provides solid dose medication verification. This system provides protection for patients and your business from quality related events that may occur due to human error. 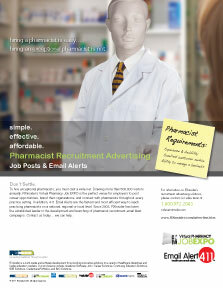 Save explanation time, increase patient compliance, profits, and overall reputation. 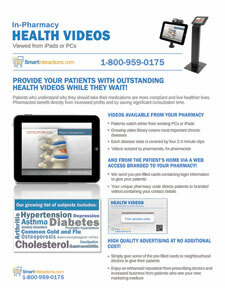 Patients watch high quality education videos while you fill their prescription. 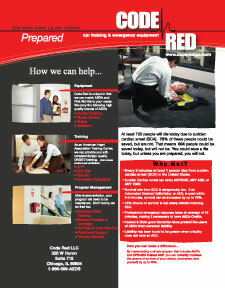 Code Red's mission is to protect your employees and visitors from sudden cardiac arrest and workplace related injuries by providing a full turn-key solution for your pharmacy's emergency response needs. 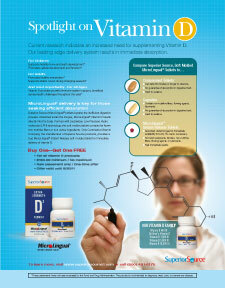 110 Million Adults complain of sleep problems. 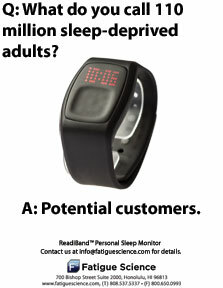 The ReadiBand™ provides a simple way to measure the extent of their sleep problems. 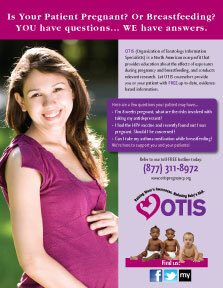 2/3's of the consumers are first time store customers. 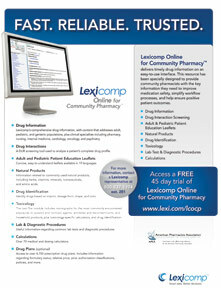 Lexicomp Online for Community Pharmacy™ offers a comprehensive, easy-to-use pharmacological resource allowing busy pharmacists to find answers faster and more efficiently while making safer medication decisions. 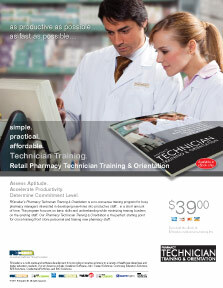 The Pharmacy Technician Training & Orientation program will save your pharmacy money by decreasing time commitments of existing pharmacy personnel during the training process of new staff. 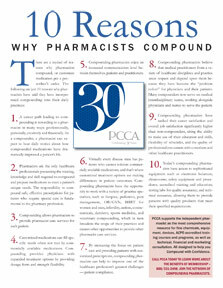 PCCA strengthens the role and skills of member compounding pharmacists through our exceptional service, highest-quality products, shared innovations, and education, so they can meet patients' unique healthcare needs.